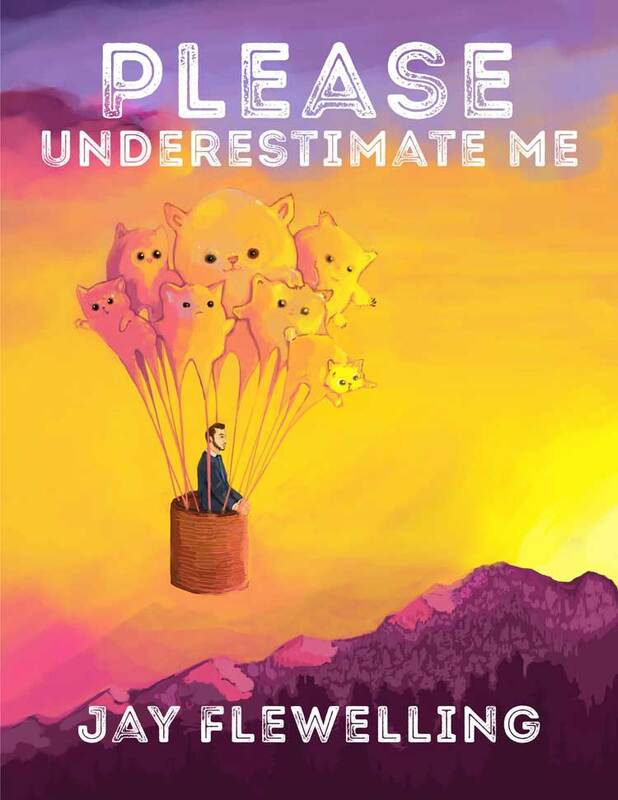 Please Underestimate Me is an exploration of satirical essays which explore the underdog theme of being underestimated is actually a position of power. This work of nonfiction takes the reader on a journey as epic as the Pacific Crest Trail full of comical stories, bizarre situations, and touching memories of Jay Flewelling's life. Obtainable on audible.com Please Underestimate Me the audio quite the adventure. With Eric Hedford (The Dandy Warhol’s) in the recording studio, multiple comedian voice actors, sound design, and collaboration with Megan Diana (Piano Push Play) listening to this audio book is an immersive, thrilling, and intimate journey that will go great with washing the dishes or on a jog. Jed Arkley, Craig McCarthy, Bill McKinley, Annie Rimmer-Weeks, Jill Sughue, David Alexander, Emma Weightman, & Devlin Farmer.